“Super Bowl” and “Super Sunday” are trademarked by the NFL. As a result of this, any advertisement, event, promotion, etc. that wants to refer to the Super Bowl has to come up with some colloquialism or be granted rights to do so by the NFL, which rarely happens. 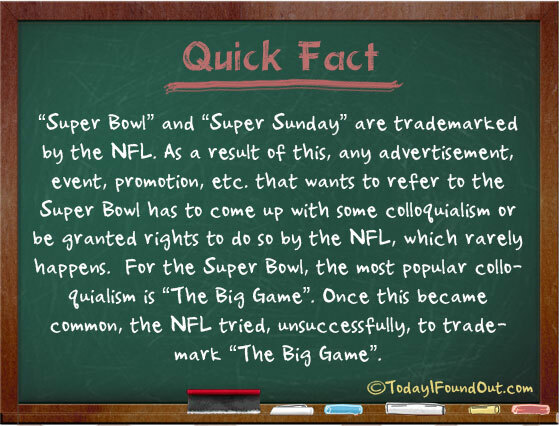 For the Super Bowl, the most popular colloquialism is “The Big Game”. Once this became common, the NFL tried, unsuccessfully, to trademark “The Big Game”.